TravelersBox, "An Innovative Solution for Leftover Currency at Airports"
Finally, a smart way to use your leftover coins and bills has arrived in the Philippines! 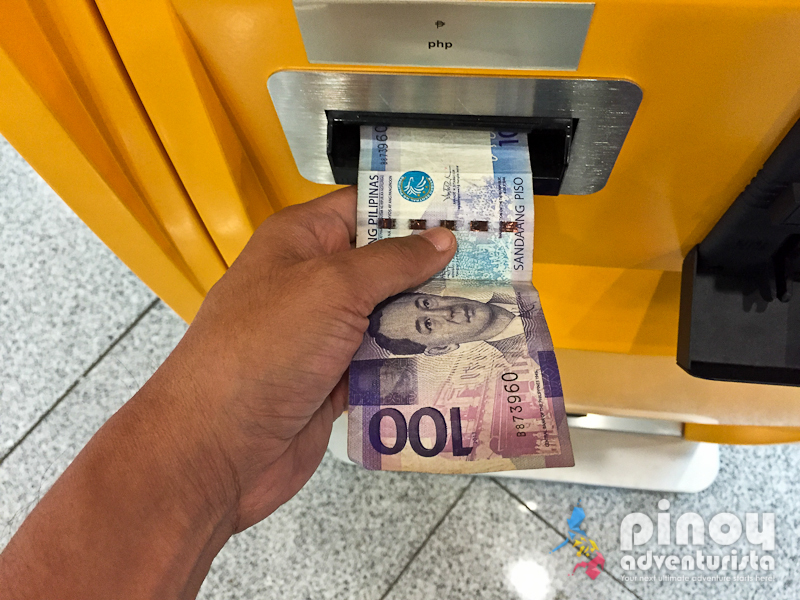 TravelersBox is a new and convenient way to use your leftover notes and coins during your travels. 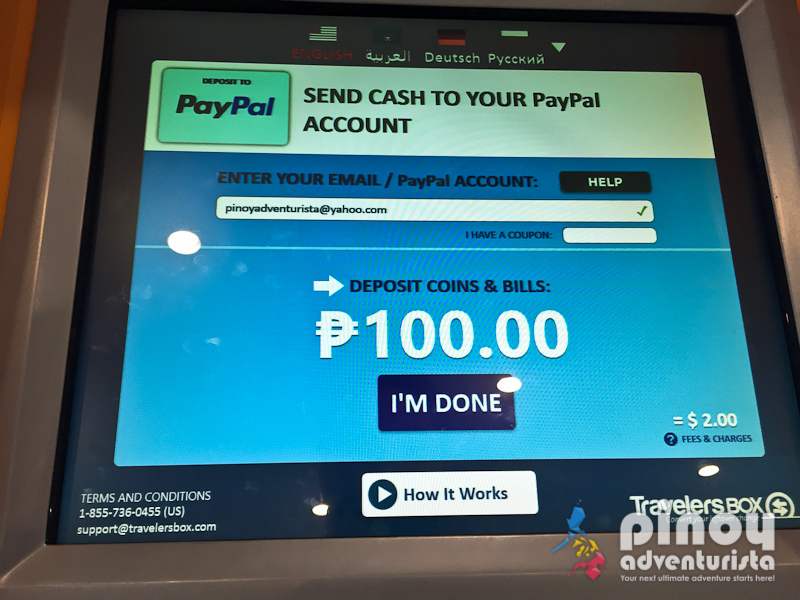 It is a kiosk that can be found in different airports around the world which allows travelers to convert leftover foreign currency into usable digital currency (such as PayPal, Yandex, iTunes, gift cards, etc.) or to make a charitable donation before leaving a country. 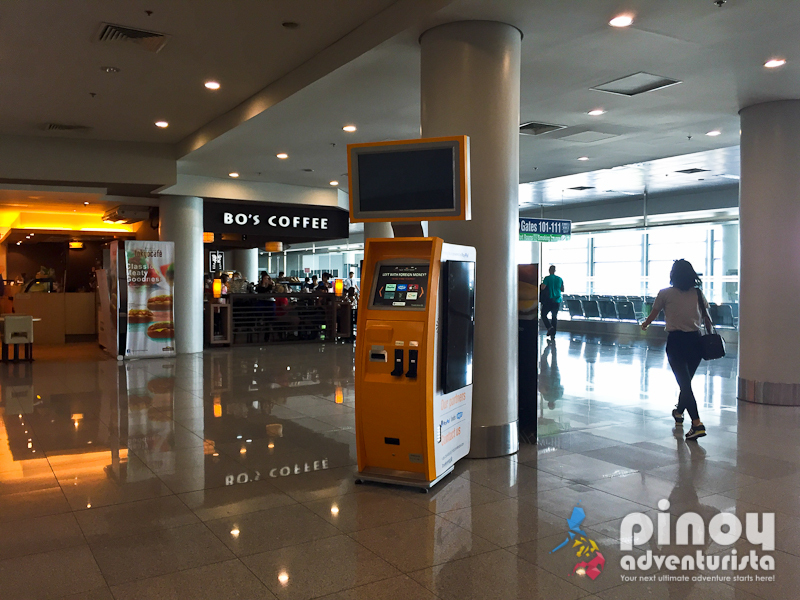 Founded only two years ago, TravelersBox already has 45 airport kiosks, growing to more than 200 by the end of this year. They have just expanded to the Philippines. 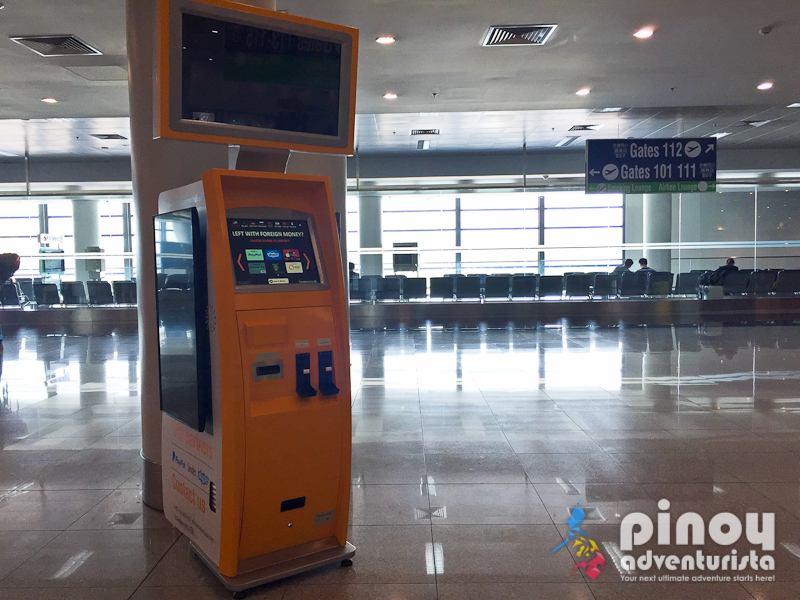 4 kiosks are currently operational in the Manila Airport and 12 more kiosks are planned to be set up in the future. I got to try the TravelersBox kiosk during my trip to Nagoya Japan a few weeks ago. The one I tried can be found near Bo's Coffee and boarding gates 110-111 at Ninoy Aquino International Airport (NAIA) Terminal 3 International Departure Area. 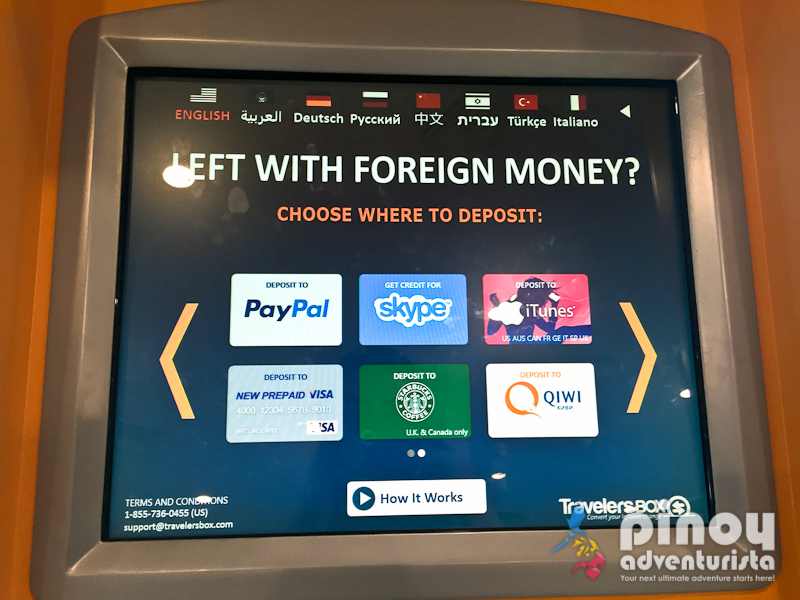 There's a lot of options to choose where to deposit your leftover currency; such as Paypal, Skype, iTunes, QIWI, Starbucks and more. Don't forget to click the left or right arrows for more options. Fot his transaction, I chose Paypal. 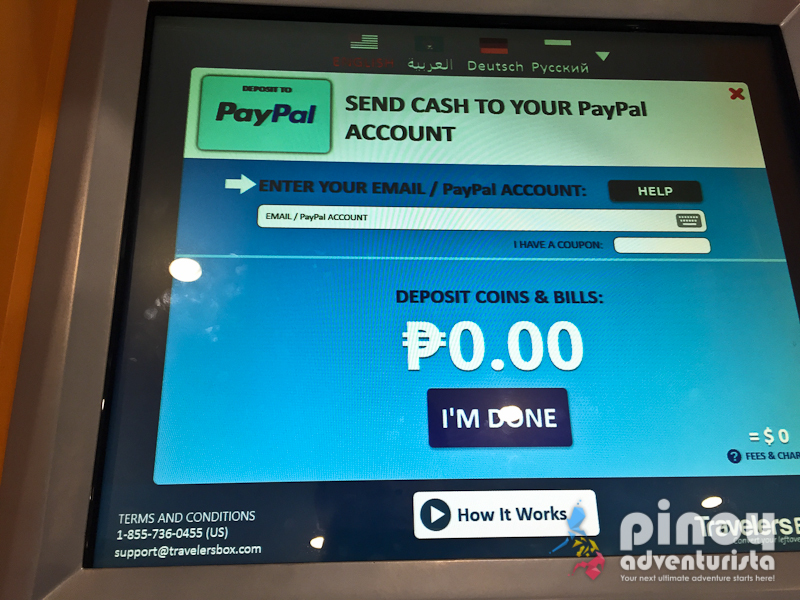 I inserted 100 pesos and since I chose "Paypal," I entered my Paypal email address. Click done. 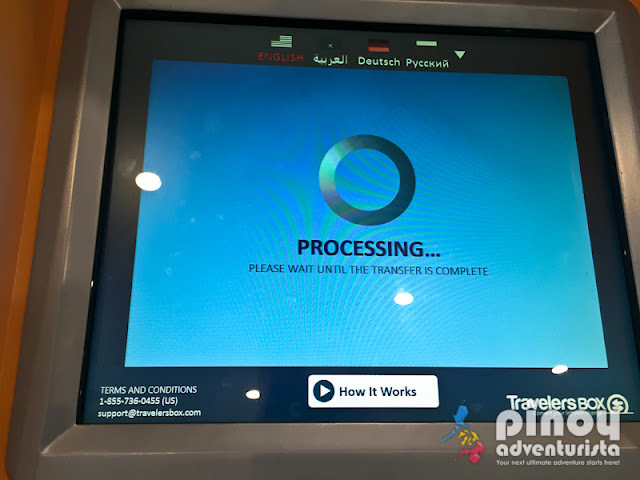 The TravelersBox will process your request. Wait until the process is completed. 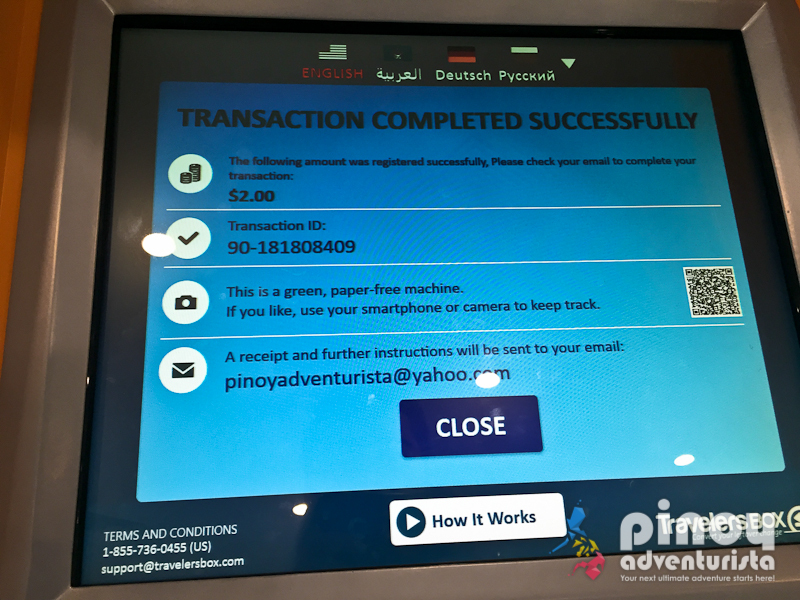 It will then display the details of your transaction. After about 5 minutes, I received an email with a secured link and further instructions on redeeming my deposit. By clicking the secured link, you will be redirected on TravelersBox website. You just have to wait for 2 business days for your deposit to be reflected on your Paypal account. 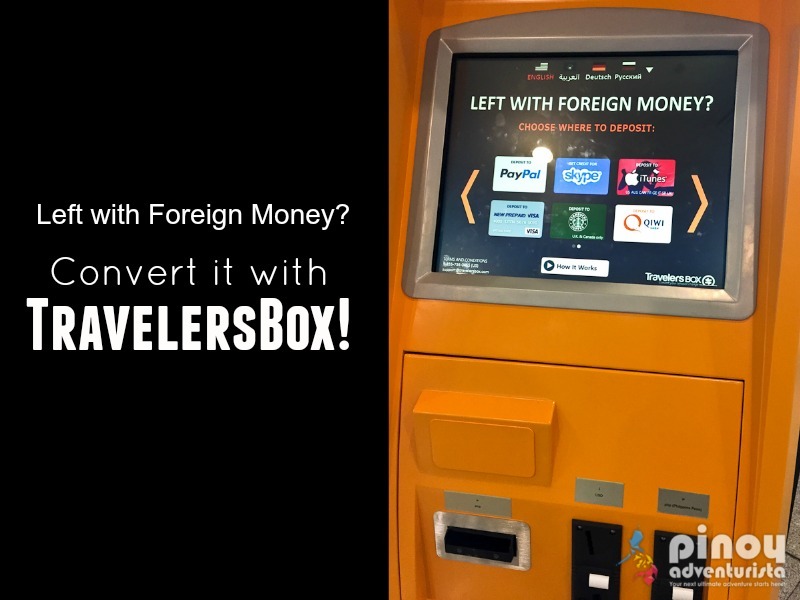 Currently, TravelersBox kiosks can be found at airports in Italy, Israel, Turkey, Georgia and the Philippines, and will soon launch in Japan, Canada, Brazil and India. 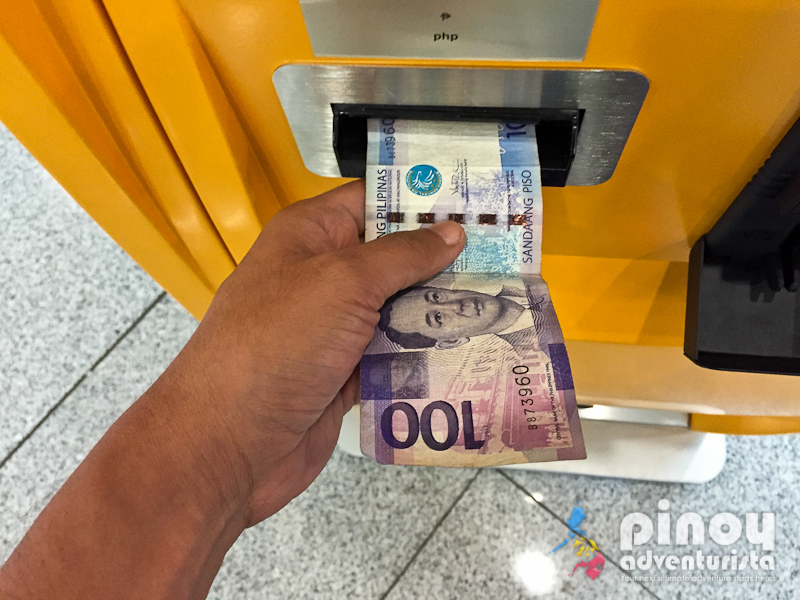 It accepts the local currency and other popular currencies within the area. For the complete list of airports where TravelersBox kiosks are located, visit www.travelersbox.com/#map. That's it! Easy, fast and convenient! Don’t let your leftover cash go to waste! Turn it into a digital currency or make a donation with TravelersBox! For more information, visit www.travelersbox.com.